Bring your car into the future with a tablet and some work. Are you envious of fancy new cars with their full internet capabilities and features? Want a full-size tablet screen in your favorite car? It's easier than you think. Full disclosure, I'm not a mechanic nor am I all that tech savvy. I'm just a guy that loves cars, loves gadgets, and likes DIY projects. Plus I'm a real big Cyberpunk fan, so I love the idea of getting my hands dirty and upgrading my rig with the best tech I can get my hands on. So let's talk about the possibilities here. Personally, I'm planning on opening up the dash and manually installing a tablet. If you don't have any experience working with electrical wiring or you're nervous about damaging you car, you might want to start with something less intrusive until you feel more comfortable, but it's really not as hard as you might think. Guides like the one I posted will walk you through the details, but you will need to familiarize yourself with the features and wiring layout of your particular car model yourself. The effort is well worth the reward in my opinion. This method gives you the most seamless look, it really makes the car look high tech. I'd certainly rather listen to my own lineup of podcasts and playlists than most radio stations, so I don't mind swapping out my car radio for a screen. You could also get yourself a tablet mount, which has the benefits of being adjustable, not requiring you to open up your dash, and lets you keep your stereo. This might make things a little cramped if you've got a smaller car, depending on how far your mount sticks out, so keep that in mind. Once you've got your tablet installed, you can set it up with apps and features to really trick out your car. There's dashcams that can connect with your mobile device or tablet, and I'd recommend anyone with a car get a dashcam. They're a godsend if you ever get into an accident. 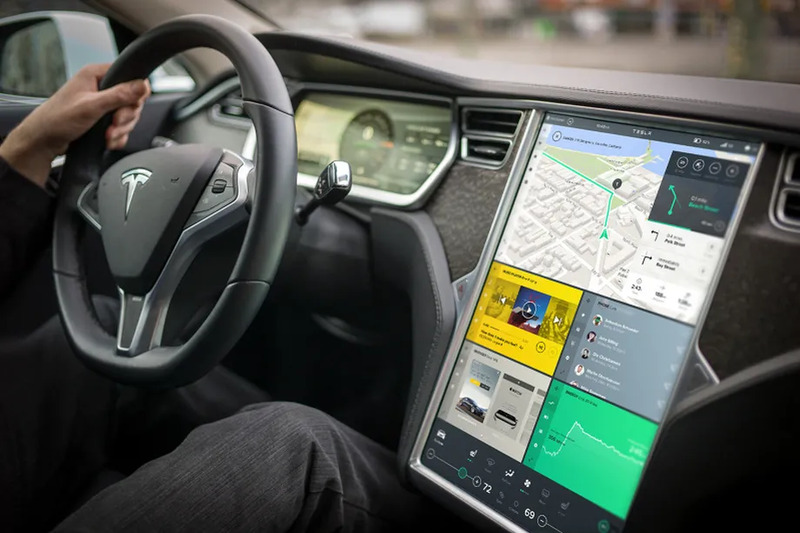 If you really want to get futuristic, there's Car Heads Up Display systems that project your moble device screen onto the windshield so you can have a holographic GPS display right in front of you, without obscuring your view of the road. I'm also looking forward to picking out a theme layout for the tablet that fits the look of my car interior. So yeah, I'm going to butcher my next car and turn it into a Transformer. If anyone has anymore ideas for ways I can modify it I'd love to hear them. Oh, and don't forget to make sure your mobile data plan can accommodate the usage rates of whatever you decide to run. While I love looking at the future, I'm afraid that this could easily take away the driver's attention. I'm sure many will use a tablet in this manner properly, but there will always be careless people who will want to watch a movie while driving, or something else that will take away their focus from the road. So long as it's a built-in tool with the things a driver is allowed access to while driving (GPS, radio, ventilation,...), I won't complain. But I'd rather see car development that makes driving safer and easier for everyone. Having almost everything in one car is a great creation. Nothing is really impossible right now!! However, I would just like to ask the opinion of everyone. Isn't that driving while surfing the net or while working online can lead to distraction? This technology might be so promising but might also increase the level of vehicular accident rates. Greetings Everyone! A tech man here! Is anyone interested in nostalgic JRPG "ReversiQuest2"? Should I get the Note 9, or just wait for the S10? Is Huawei Nova 3i worth to buy?